I’m often asked for recommendations for Android applications by friends and family. Many times these inquiries are regarding apps for a specific use case and so I respond accordingly. But sometimes I’m asked what my “must-have” Android apps are; the ones that I use most often or just have to have installed on my device. I currently have nearly 100 applications installed on my phone and this list is constantly changing, but it was easy to see which apps are always there. Many applications that I use on a daily basis are official Google apps that most every Android user is familiar with so I decided not to include them in my list. I also felt like I should exclude games and perhaps save them for a separate post in the future. 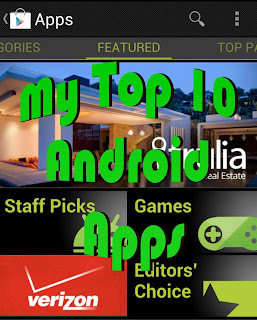 So here are the top 10 applications that I always have installed on every Android phone. These are not listed in order of importance (or in any particular order at all for that matter). I use this app every single day. I've tried many podcast applications and this one is my favorite by far. My only gripe is that it lacks the ability to sync with Google Reader. While you can pull subscriptions from your “Listen Subscriptions” folder in Reader, it is only a one-way data transfer and it must be done manually so it’s not a true sync. An absolutely awesome music app. If you are like me and have hundreds of hours of audio content on your computer at home and would like to have access to it all on your phone without having to load up the limited amount of space on the device, then Audiogalaxy is for you. Simply install the desktop software on your computer and it runs in the background and essentially turns your desktop into a server which allows you to then stream all of your music to your phone or tablet via the smartphone app. When iHeartRadio added custom stations in addition to their lineup of Clear Channel radio stations I switched from Pandora and haven’t looked back. While it could be argued that Pandora has a better user experience because of more features, the fact that iHeart has no ads is enough for me to switch. The added benefit of the Clear Channel radio station streams is great too. For a geek like me, this app is indispensable for locating files on the phone’s internal memory or SD card. It is a feature-rich application that looks really nice as well. The best Bible reading and study application that I've found. Having tried as many as 8-10 different ones, I settled on this one due to the many study tools and Bible translations available. I’m sure you already know what Dropbox is (if not, check it out via my affiliate link here) so I won’t go into a lot of detail. This is simply Dropbox for your smartphone which does exactly what you’d expect it to do. One feature worth mentioning is the instant photo upload functionality which I love; every photo I take is automatically backed up to my Dropbox folder. This one is pretty self explanatory; it’s a flashlight. While it’s not an application that I use on a daily basis, it’s one that often comes in handy. In addition to being able to use your screen as a flashlight in various colors (and color combinations) it also has the option to use your camera’s LED flash as a light. Lookout is a fabulous security app that has many features and premium options. It scans applications for malware and viruses at installation and can also perform periodic scans of your device. Again, it can do much more so I highly recommend checking it out. It’s one of the first apps I install on every device I get. There are many weather apps in the Google Play Store and I have tried several of them, but this one just works for me. My favorite feature is the small home screen widget that allows me to grab the temperature at a glance and it doesn't take up half of my screen. So there you have it. If you’re interested in which official Google apps I use, post your question below and I’ll respond. 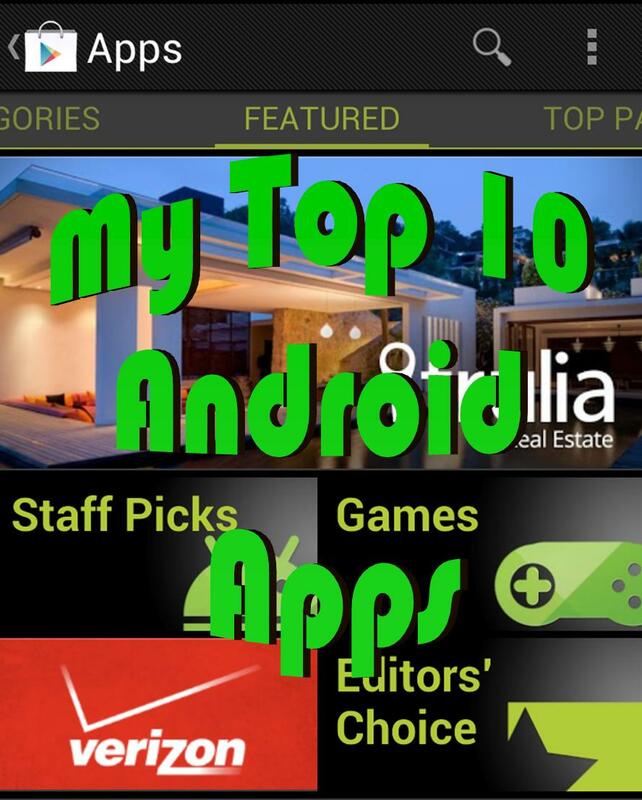 Which Android applications are the ones you cannot live without? Let me know in the comments.